Last week, Stephen Marsh at Wheat and Tares posted about how arguments about Guns and Gays are similar. Steve specifically said “people post disputed statistics for the harm caused by the parties they wish to regulate or deny. In both cases, those opposing regulation point to contrary statistics showing how good either guns or gay marriage really are and how they are essential constitutional rights.” In the comments, I rhetorically asked about the National Rifle Association. “Why do they continue to obstruct criminal/terrorist investigations? It seems that they want violence so that they can justify the use of guns! They continue to obstruct the Boston Marathon Bomb investigation.” Specifically, this MSNBC article shows that gun control advocates have been asking to add a material called taggant to gun powder for more than 40 years so that investigators would be able to trace gun powder to a specific manufacturer. This information would help them identify who might have bought the gun powder and hopefully find the culprits faster. AllQuietOn responded that he didn’t think it would make any difference in reducing gun violence, and I agreed with him that he might be right in the short term. But the real question is, would it help in the long run? I noted in my post Abortion and Crime that Freakonomics author and economist Steven Levitt showed that gun control legislation had a small impact in reducing crime. AllQuietOn responded that Levitt had produced a new podcast indicating that gun control doesn’t work. Once again, this is another example of Marsh’s point: “people post to disputed statistics for the harm caused by the parties they wish to regulate or deny.” So I’d like to talk about the new podcast to hopefully cut through the clutter of these disputed statistics, because I believe that a person could listen to Levitt’s podcast and cite statistics both in favor and opposing gun control. 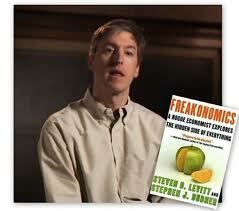 Steven Levitt, co-author of Freakonomics and crime expert. Mass shootings are on the rise. In the past 10 years, we are averaging 3 mass shootings with 26 fatalities. Gun buyback programs are useless because criminals don’t return guns. (1) The guns that are actually turned in are already broken and wouldn’t kill someone anyway, or (2) by a person who inherited it that wouldn’t have used the gun anyway. Because there are 300 million guns in America, Levitt says that statistics show that 10,000 guns would need to be turned in to prevent 1 murder. “Successful” buyback programs typically have 1,000 or less guns turned in, making no dent in gun violence. To really have an impact, we would need to remove millions of guns to have an impact on the murder or suicide rate by gun. Given these conditions, does that mean we just have to live with our climate of violence? No. Levitt says that in order to attack the problem of gun violence, we have to more effectively target the authors of violence. If our aim is to get the bad guys to quit using guns, here’s what Levitt proposes in our current political climate. If a gun is present during a commission of a crime, even if it is not used, add 5, 10, 20, or 50 years to the sentence. This will work if there is a strong enough incentive. Sure criminals will turn to knives instead of guns to commit crimes, but knife deaths will not increase in a 1 to 1 rate of gun deaths because knives are not as effective. This has worked in California. Incentives must be of this nature–you must tie these incentives to guns you don’t want. In the past, we institutionalized the mentally ill. It used to be that more people were admitted to mental institutions than jails. Now there are more people in jails than mental institutions, and it is 10 to 1 or 20 to 1 in favor of jails over mental institutions. Most people that commit mass shootings are mentally ill. We should revisit this policy and try to institutionalize the severely mentally ill, rather than jailing them. Along this line of thought, Levitt says that a component of the recently passed gun control law in New York has a provision in which mental health officials are required to report potentially violent mentally ill patients to the state so the state can check records of gun registrations to see if the patient owns a gun. Levitt isn’t against the idea, but he says there may be unintended consequences. The mentally ill may not tell the therapist about their violent tendencies for fear of losing their gun. The law could have the opposite effect because the mentally ill withhold information from their therapists. 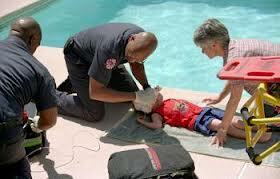 Swimming pools are about 100 times more deadly to children than guns. Levitt says that if we want to get more bang for the buck, we should tackle other issues that are much more deadly than guns: swimming pools and traffic accidents. Far more people are killed by these two issues than guns. Swimming pools are much more deadly to children than guns (by a factor of about 100 times); furthermore seat-belt laws, helmet laws, and better road designs will save more lives. To this point, I’ve tried to present Levitt’s position as neutrally as possible, because I do like Steven Levitt, and I do respect his opinions. Now I’d like to discuss my own biased opinions. I’ve mentioned previously in my Abortion and Crime post that harsher sentences have reduced crime, but at what cost? I guess I find it ironic that the NRA is a big proponent of the Republican Party, and the Republican Party is a big proponent of small government. However, the NRA is a proponent of big government prisons that are very costly. The “land of the free” has locked up over 1 million of its citizens. Isn’t that ironic? (I found a very interesting post called How the NRA got rich by pushing incarceration.) An ad by the NRA in USA Today said “Tell them [Congress] you want a crime bill with $8 billion more to build prisons, or you don’t want their crime bill at all!” The current NRA campaign wants even more big government: armed policemen in every school. With government spending out of control, how are we supposed to pay for these police? Does the NRA want us to become a big government police state? If not, how do we pay for more police and prisons when federal, state, and local governments are already having a hard time paying for current services? We are already hearing that the Obama administration is proposing the release of non-violent offenders from prison because of sequestration. So are Republicans for liberty or jails? Are they for big government, or small government? I’m also curious how you think as well as Joseph Smith felt about the right to bear arms. 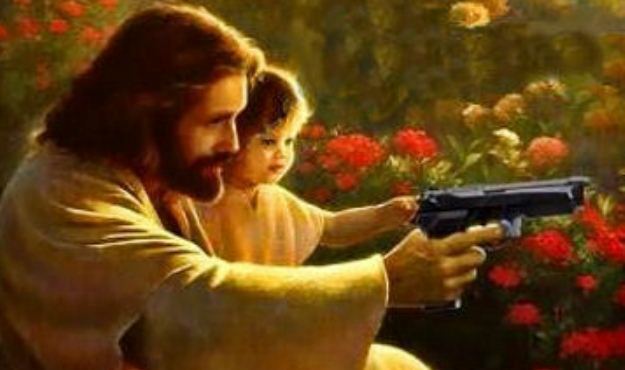 On the one hand it could be argued that Joseph was for the right to bear arms. After all, the church has a storied history of the Nauvoo Legion, and Joseph even attained the rank of general in the Nauvoo Legion. On the other hand, Joseph was the victim of too many guns in the hands of a mob. While Joseph did have a gun smuggled in the Carthage Jail and shot some of his attackers, he was no match for an armed mob of 200 with fully armed rifles. Would Joseph have wished those guns were confiscated and/or registered so that we might have had a conviction. Nobody was convicted of Joseph and Hyrum’s murder, despite the fact that some in the mob had wounds inflicted by Joseph Smith. (Dallin Oaks book is an awesome reference on the Trial of Joseph’s assassins.) How do you think that current church leaders feel about gun control? Can you imagine President Monson, President Packer, or Elder Holland packing heat? I think many LDS people like to think of Captain Moroni when then think of the right to bear arms. Captain Moroni defended liberty. But how many of us consider the opposite example of the people of Lamoni? What would Jesus do? Stephen King has written an excellent article on this topic. entitled Guns. Jesus rebuked Peter for using a sword to try and defend the Saviour. Saying something like ” those who live by the sword die by the sword. 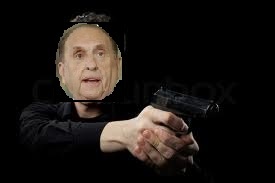 “Can you imagine President Monson, President Packer, or Elder Holland packing heat?” I don’t know if I could imagine them doing so, but I know that President Monson does have armed bodyguards for his protections, just as every President of the church has, including Brother Joseph. Just because they don’t pack personally does not mean that they do not see the benefit of firearms for personal safety. Also, “living by the sword and dying by the sword,” in my opinion are irrelevant if we are talking about personally safety. I don’t think Christ would have supported the idea of just lay there and take it. Yes, I understand that he did, but that was also his role as our Savior, my role as my son’s father and my wife’s husband is to protect them, if I have to use a firearm to do so, I will. I’m curious as to what would make anyone think that “the Republican Party is a big proponent of small government.” Even Reagan, who at least tried, never succeeded in reducing the size of government in the US. Since 2001, the only real disputes between Dems and Republicans on limits to government would be which parts grow and at what pace. Ever listen to Sean Hannity? He spouts that nonsense all the time. Now that the army wants to cut back, let’s see how the tea party republicans respond to that. I think they’ll suddenly decry the job losses and decide that big military is ok. Despite the rhetoric, they like “Big brother” government programs of big military, big police, big government jails. Those are the republican sacred cows.